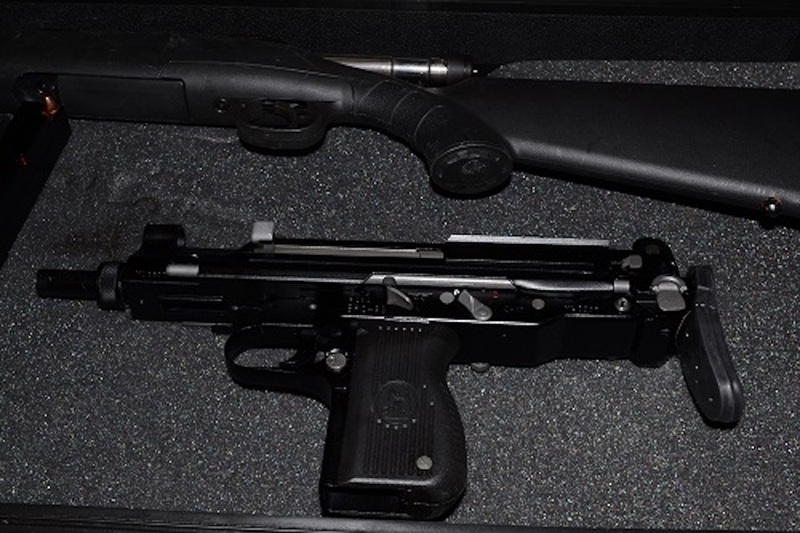 A search warrant on a Badger Drive home was prompted by the discovery of several firearms in plain sight during a home invasion investigation, RCMP said today (Jan. 18, 2018). Police had previously not revealed the reason for the warrant. Cpl. Jodie Shelkie said the firearms were seen when police entered the residence Jan. 16 in response to the home invasion call. The Explosive Disposal Unit disposed of two explosive devices and their parts, she said. When the officers went back in to the house to complete the search, they located a number of firearms, a “quantity” of Canadian currency and some narcotics, said Shelkie. A 20-year-old female resident of the house was arrested and has been released with a future court date. 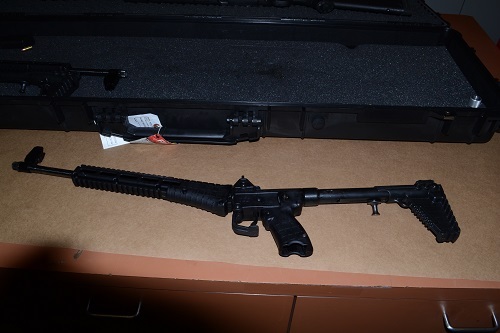 RCMP are recommending charges of Possession of a Prohibited Weapon. The Crime Reduction Unit is also trying to determine who the suspects were in the original complaint of the home invasion.